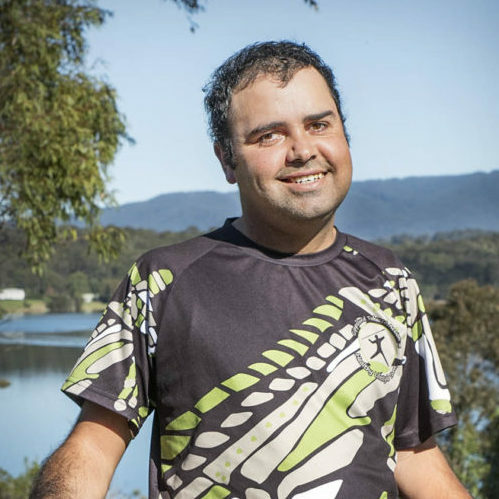 A total of nine regional NSW artists with disability will star in short films as part of Createability 2016 – a project for professional filmmakers to profile artists with disability living and creating in regional NSW. 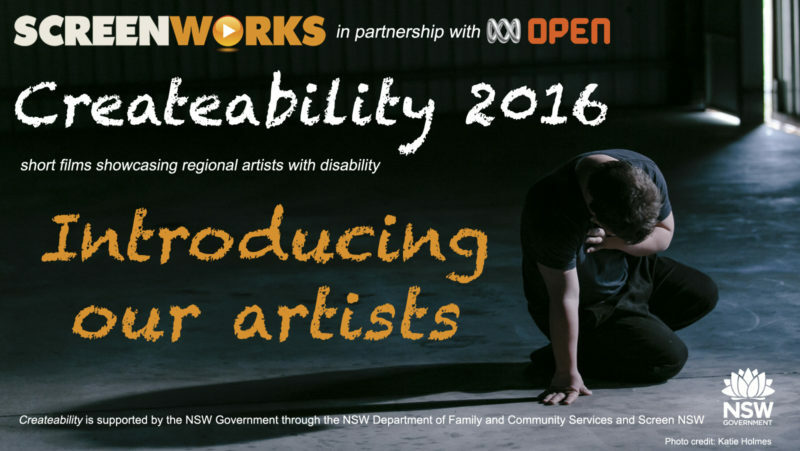 Createability 2016 is a Screenworks initiative being delivered across regional NSW in partnership with ABC Open and the NSW Government. 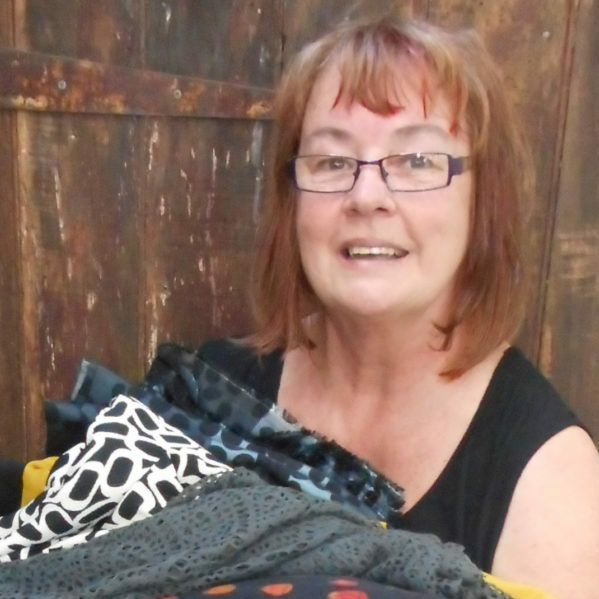 Ramona is a mixed media visual story teller who has lived on and off in Yamba for over 30 years and recently moved to Grafton. She has been using art to tell her story since she was 6 years old. She has been a professional artist since 2000, when she represented the Saltwater People at the Sydney Olympics. 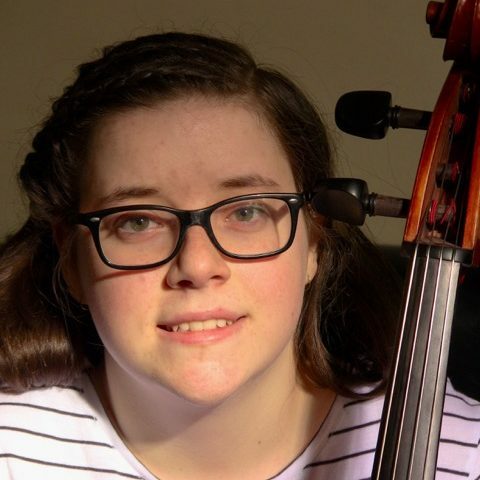 Tilly Jones is a 14 year old musician and composer. She plays five instruments and wrote her first piece of music at age 8. She plays in a number of bands and her performances and compositions have won her many awards. Verity is a visual artist and abstract painter. She has been practicing art since she could hold a crayon and believes that art is the purest form of human expression. Jeremy Hawkes is a visual artist across mixed media. He has been a practicing artist for over 25 years, with extensive experience exhibiting in Australia and overseas. His work has had tremendous commercial success and he is represented in many private collections, as well as receiving regular commissions. Zion is a visual artist and ceramicist. He has been drawing, painting and making ceramics for the past fifteen years. 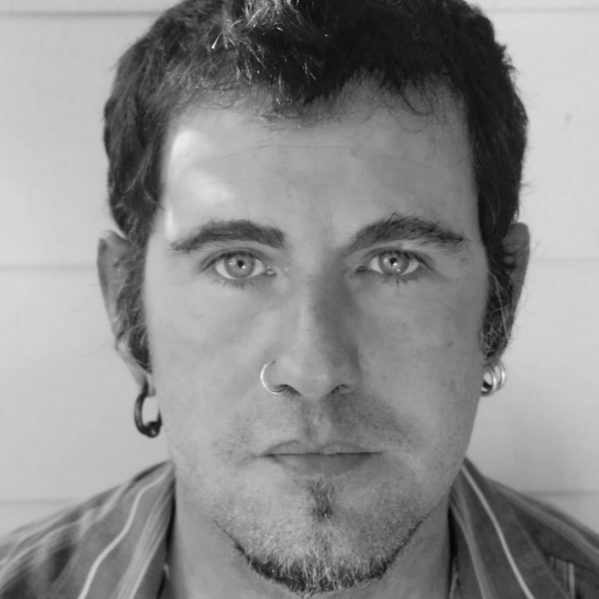 He has exhibited in a number of local and interstate galleries and over the past few years he has been commissioned for portraits. His work is in private art collections in the USA and UK as well as here in Australia. 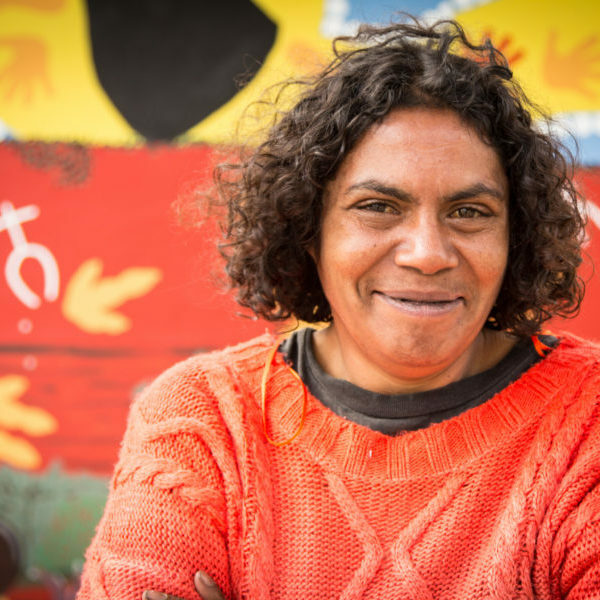 Feona is an Indigenous Artist and mural painter, living in Broken Hill. Her work has been exhibited in numerous group and solo exhibitions, published in printed publications. 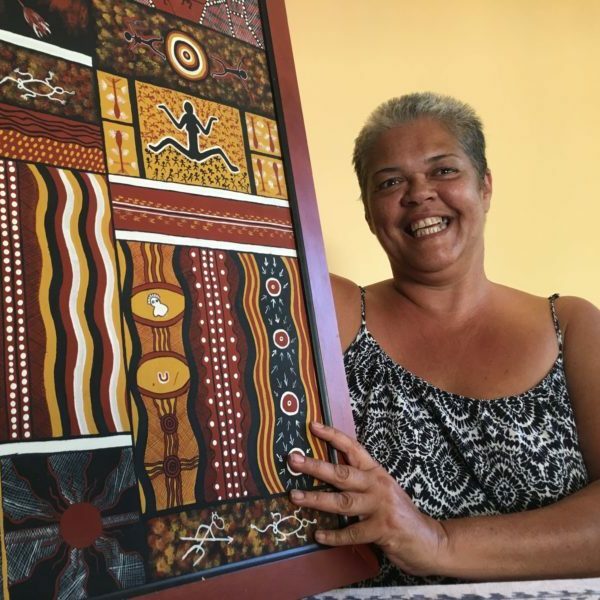 She has created a series of Murals in her home community in Broken Hill’s Credon Street and is now planning a new mural to help inspire her local community. Pearl is an established textiles, digital and mixed media artist with her own gallery in Murrurundi, in the Upper Hunter region of NSW. She works with textiles, fibres, beads and stitch to make wearable art, two dimensional art, adornments, handbags, and crazy, vibrant dolls. Justine is a singer, songwriter and musician living in Dubbo. She formed a love of singing when she was a young girl and her earliest musical inspiration is Cher, which led her to perform Strong Enough in a school production when she was only 12. Corey Stewart is a 32 year old Indigenous painter, sculptor and illustrator. Corey lives in Narooma, where his art draws inspiration from the coastal landscape and his family regularly feature in his works. Each Artist is now working closely with their Createability 2016 filmmaking team as they head into pre production, in some cases, filming has already commenced. All the films will be delivered to Screenworks by the end of August 2016. 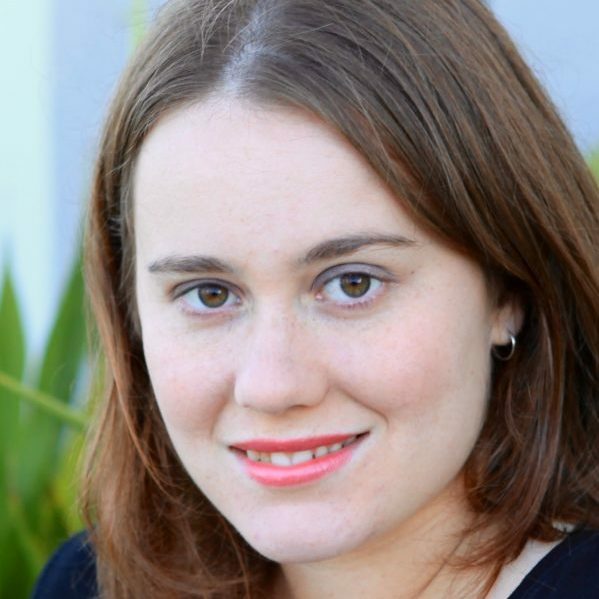 ABC Open producers, who are based in ABC stations across regional Australia, will be the supervising producers for the Createability film produced in each of their regions. 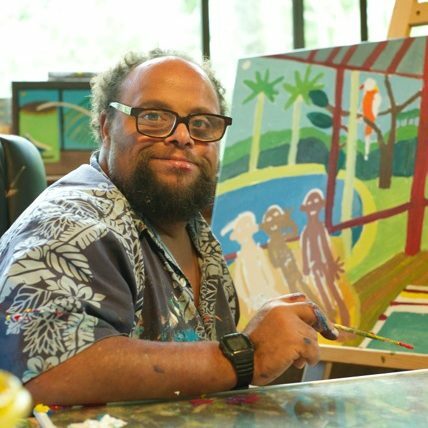 Detailed information about the artists and the filmmakers project is available from Screenworks’ Createability 2016 website – https://www.screenworks.com.au/createability.